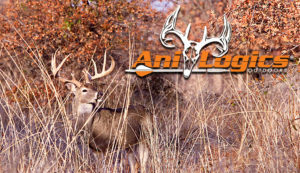 “If you are looking to take your deer management to the next level on your property, wanting more consistent deer activity and a healthier deer herd, no need to look any further Ani-Logics products will help you get there. This spring I started to use all of their products and was amazed at the quick results that I saw. The attractability and palatability of Ani-Supplement Gold and JAC is just crazy. 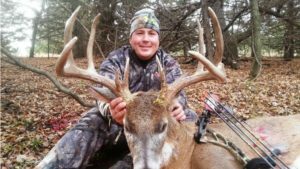 The Crazy Attractant of Braggin Rights allows me to get quick inventory on bucks in a short amount a time. 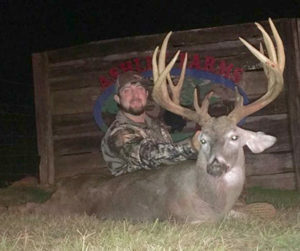 Mineral Dirt 180 and the Ani-Mineral Block has helped the bucks put on more inches. What I love most about all of Ani-logics products it that they contain Ani-shield TX4 which helps in the over all health of the herd and that is my optimal goal. 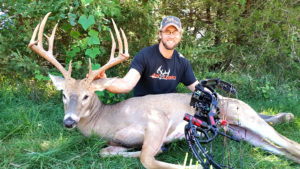 This summer and leading into hunting season I have been able to pattern more mature bucks during daylight than in previous years , keep and attract more bucks on the property and I have noticed more healthier does and fawns. I highly recommend that you give Ani-logics a try and “Protect Your Herd With The Power Of Science”. “I’ve been using your product since February/March of 2014 and to date I have purchased several Tons and everything Ani-Logics advertised is real! I have never seen any mineral supplement attract this kind of attention before, with the results Ani-Logics is producing. 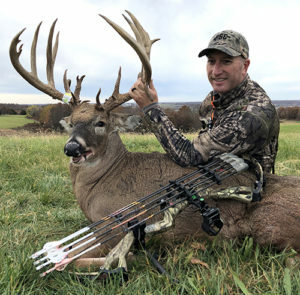 In reviewing several thousand deer pictures it has shown/proven to me the palatability of your product is nothing like I’ve seen/experienced before. Until now, I have never taken one trail picture with four nice bucks around a supplement, and I’ve tried several. Not to mention how healthy the herd looks, compared to years past. Now that’s real results!